It happens more often than not: you’re walking down King Street West past the Toronto Dominion Centre without realizing you’re seeing the work of one of the world’s great architects (in this case, Mies van der Rohe); you notice the Design Exchange on Bay Street, but don’t know that it housed Toronto’s original Stock Exchange from 1937 until 1983 and is still home to Canada’s first fluorescent light; or, didn’t know that Redpath was Canada’s first food trademark as you drive past the Redpath Sugar Factory while you’re stuck in traffic on the Gardiner. 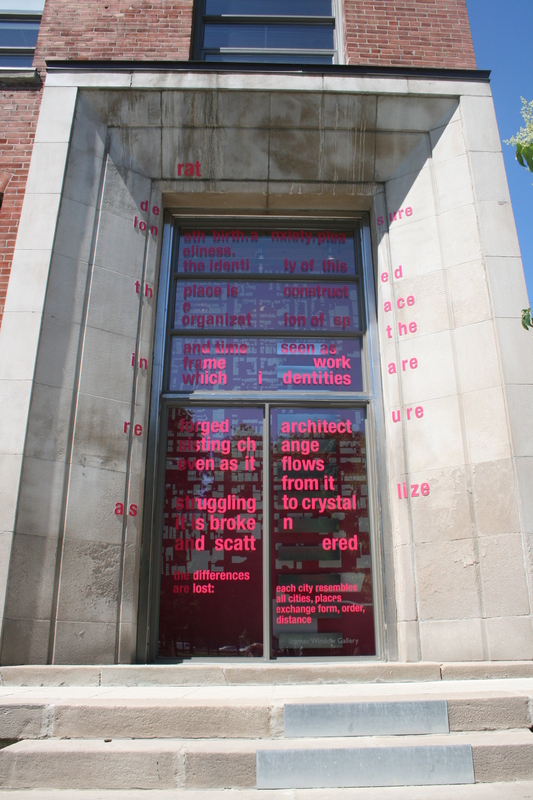 One weekend a year, Torontonians stop and look (and learn) when Toronto throws open its doors. Doors Open Toronto, the hugely successful program that allows the public in to view hundreds of buildings that are typically off-limits to regular folks,was the first of its kind in North America. Modeling itself on the European version aptly named “Doors Open*”, Doors Open Toronto began ten years ago with a simple motto: open buildings for a day or two (no more) and tell the public they’re welcome to visit. The idea being that if people looked more closely at the city in which they lived, they’d gain a better appreciation for the city itself. And has it worked? I’d say. More than 200,000 people participated in Toronto’s 2009 event and organizers expect 250,000 attendees in 2010 (read: prepare yourself for very long lines). For history and building geeks like yours truly, it means a weekend of traipsing through Toronto at breakneck speed, not eating, not drinking (gasp) and maxing out both your SD card and water intake simultaneously. I grew up in Sugar Land, Texas, whose moniker came from the Imperial Sugar Company (which has long since passed on to sugar heaven). Therefore, it stands to reason that I’d live less than a mile from Canada’s sugar factory on Toronto’s harbourfront, drive by it every day on my way to work, and that it would be open for Doors Open Toronto. We learned how sugar is crafted (it’s from sugar cane, in case your head has been under a rock), how brown sugar is made (shockingly, it’s made from spraying white sugar with molasses — once for light; twice for dark), took a guided tour through the museum and parts of the plant via a video virtual tour, and got to lick sugar off our feet after a trip into the Redpath sugar shed. 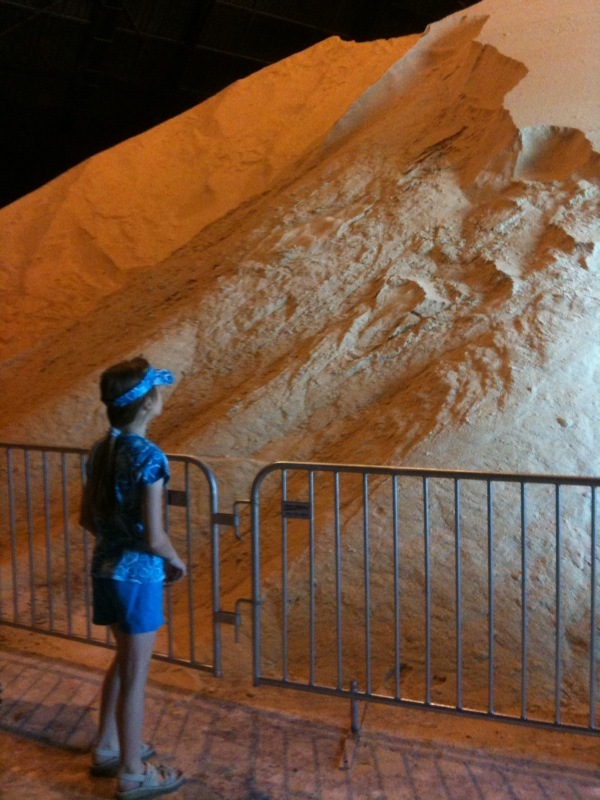 Said shed holds a whopping 65,000 tons of sugar and, even with my ginormous sweet tooth, I doubt I could consume that amount of sugar in a lifetime. Lastly, we got to meet the Redpath Acts of Sweetness Ambassadors (should out to Janet whom I’d previously met at CupcakeCampTO!) and have our picture made taken with the Redpath Acts of Sweetness truck. 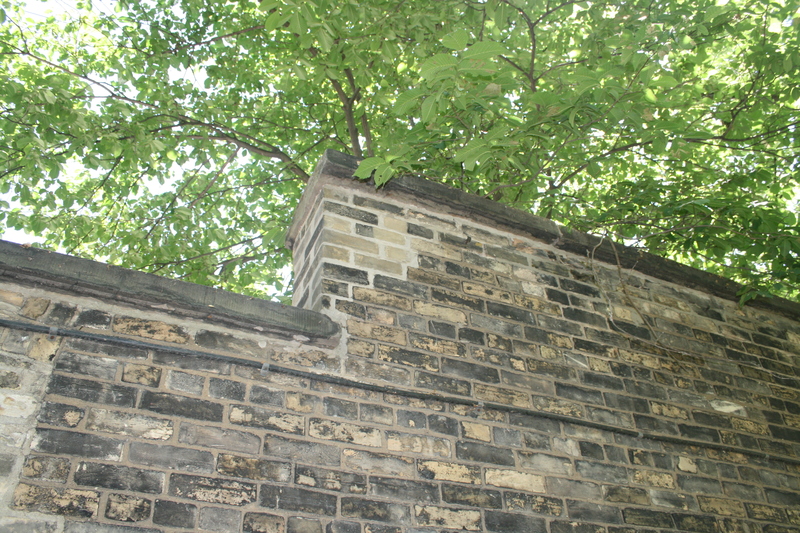 Toronto has plenty of of stories of intrigue that highlight its past and present, and many of those stories are event dedicated solely to built heritage, architecture and design. 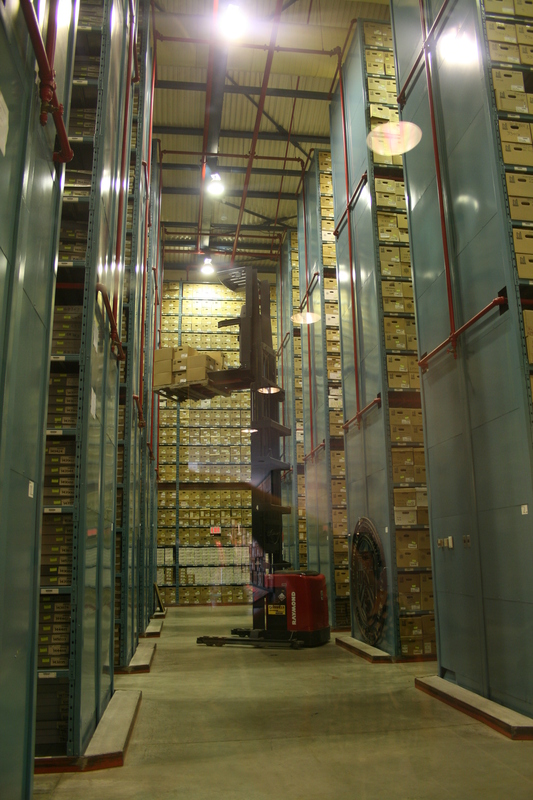 The Archives have more than 1.2 million documents in their warehouse that is straight outta Indiana Jones and at which Doors Open visitors were able to gawk. Also open to the public for the first time was the Archives’ Conservation Lab. They demonstrated how they scan all the documents and, for the sake of argument, will just say that they’re w ay more sophisticated than my Canon point-and-shoot. I’m a TTC geek. Yeah, they’re the expensive^; yeah, a lot of them are difficult; I’m definitely not a fan of waiting 25 minutes for the 510 streetcar but, since the day I arrived in Toronto, I’ve had a serious love affair with all things TTC-related. Those cheery and bright red streetcars get me where I need to go safely and with a smile and, it could even be argued, with a dash of style. Come on — everybody looks good in red! But Idigress. When I learned that the TTC had not one, but two, shops open during Doors Open, I was more than wicked excited. 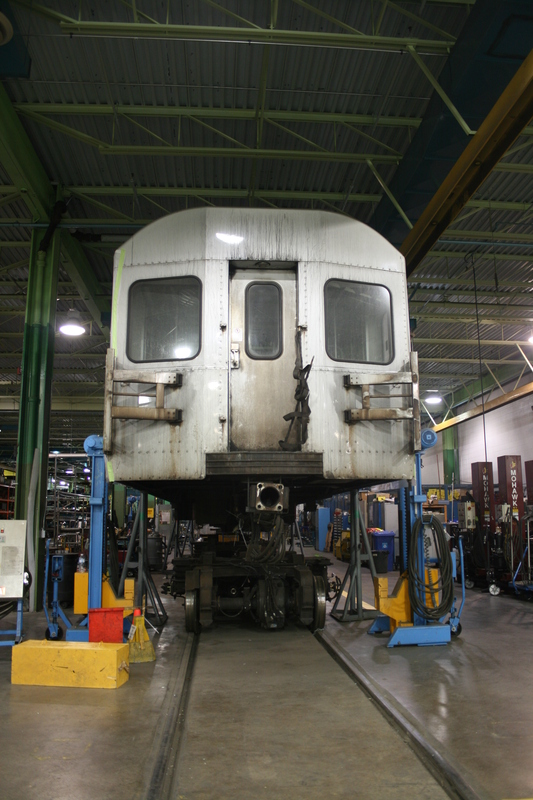 The Greenwood Maintenance Yard is responsible for the maintenance of half of the TTC’s subway fleet: 1/3 of the T1 fleet, 126 H6 cars, and 44 H4 cars. I spent two hours there and every single TTC employee volunteering that day was heart-achingly kind. It could be because they don’t interact with the public every day like the operators do, or it could be that Brad the TTC guy had a little chat with them all in light of the TTC’s recent (and numerous) publicity gaffes. Just sayin’. For more TTC Greenwood Maintenance Yard goodness, check out my very exciting “Doors Open Toronto” Flickr set. Doors Open Toronto was absolutely one of the highlights of my time in Toronto. To borrow a quote from Toronto Star writer Christopher Hume in describing the event, “suddenly this is Toronto the Bold; Toronto the Daring; Switzerland run by New Yorkers.” I couldn’t agree more. Who Doesn't Love A Good Cow Skin? Who Doesn’t Love A Good Cow Skin?